From Excalibur Publishing’s range of truck driving games for PC, take a trip to America in the highly realistic American Truck Simulator, developed by leading experts in the genre, SCS Software, responsible for Euro Truck Simulator. 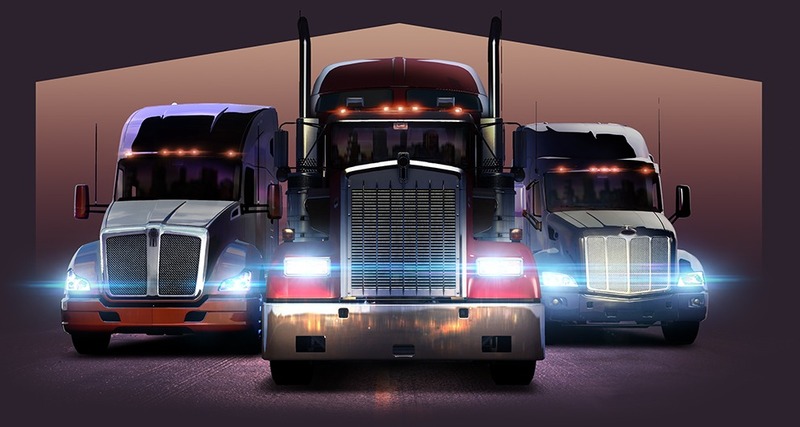 Get behind the wheel of some of the most titanic trucks in America in this highly realistic and stunning truck simulator. The base game will include the sunny shores of California and will continue to be expanded upon across multiple updates. Developed by SCS Software, the leading developer in truck driving games and responsible for the hit title Euro Truck Simulator 2, you can expect a vast amount of content, beautiful scenery and an amazing sense of realism. Over the coming months the game will continue to take shape as America is explored via downloadable updates. Unlike the digital version, the boxed edition will include the Arizona DLC completely free when it is released later on in 2015.